AGA’s 2018 Professional Development Training in Orlando! 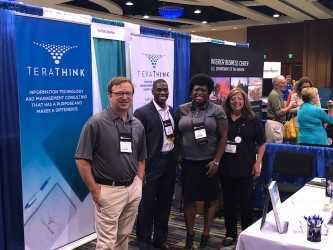 TeraThink had the pleasure of attending the 2018 Association of Government Accountants (AGA) Professional Development Training (PDT) in Orlando, FL. 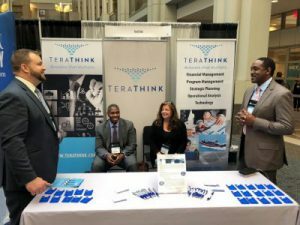 This massive event had over 2,000 attendees between July 22-25. Our small group included Jim Levitan, Howard Campbell, Leslie Hubbard-Darr, Matt Duffy, Rodney Taylor, Todd Barber, and myself. This year, traveling to Orlando proved to be more challenging than planned. Many people, including myself, experienced several hours of delays. Even in the midst of a slow start, the AGA managed to pull off a spectacular event. Despite arriving at 2 a.m. due to delays, Gene Dodaro, Comptroller General, GAO demonstrated quick wit and amazing recall of stats throughout the opening plenary session.